Burberry Summer by Burberry is a men's fragrance that is sure to give you confidence and swagger. The combination of citrus and pineapple with musk and cedar make for an outstanding fragrance. Since 2007, Burberry Summer has given men the confidence they need to tackle anything that life throws at them. 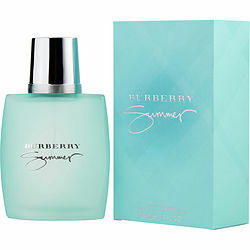 One spray of this Burberry cologne is all you need to give you the confidence to face some of life's daily challenges.